Take the summer enjoyment to a new level with this non-alcoholic version of classic margarita. The tequila and orange liqueur of alcoholic margarita is replaced by simple soda water and orange juice respectively to make it virgin. Perfect refresher for kids at the table while adults enjoy the real one. Pour cordial and both juices over ice in a mixing glass and shake well. Strain into ice filled serving glass and pour soda. 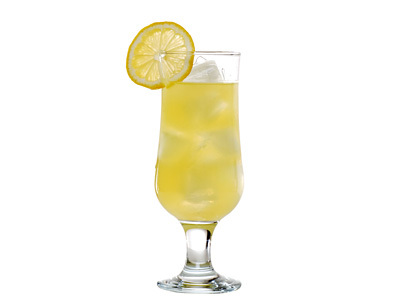 Give a nice stir and garnish with lemon wheel. Blend first three ingredients with ¾ cup crushed ice into icy slush. Add club soda and blend again for few seconds. 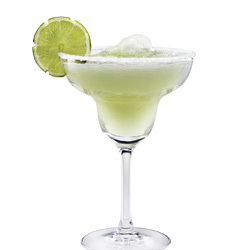 Transfer to salt rimmed margarita glass, garnish with lemon wheel and serve virgin margarita with a straw.